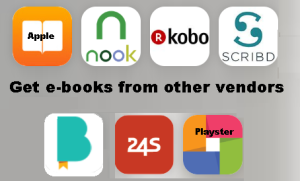 The same great stories of the apocalypse with Hell reigning on Earth but in one easy to tote trade paperback. 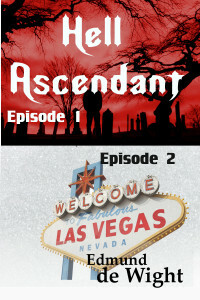 You can purchase the first two novellas of Hell Ascendant together in paperback or e-book. It sounds like a joke, but when Satan himself shouts April Fools it’s pretty serious.Episode 1 of this sprawling saga of Hell come to Earth follows Lucas Devereaux. Former soldier turned auto mechanic, turned apocalypse survivor, he leads a band of frightened men and women through Hell on Earth trying to stay alive in the changed world. He just has to survive hell hounds, demons, and the hatreds that humans still carry even after the world ends. When a demon demands a sacrifice of the survivors, will they betray one of their own or die?Episode 2 takes us to Sin City, Las Vegas. Eternal snow blankets the city. Glaciers race across the landscape destroying everything in their path and monsters prowl the winter wasteland in search of human prey. A group of loners and misfits are drawn together in an effort to survive. They are pursued by monsters and demons at every turn. When a Prince of Hell demands a sacrifice they are faced with a choice between saving the world or their new friends.